Despite lower cost of formation and reduced compliance requirements, the LLP Act—enacted in 2008—has not generated much interest among individual businessmen and lawyers. According to the data available on the LLP website, there have been only 426 registrations for LLPs till 30 November 2009. 1 April 2009,” said Sharada Balaji, founder of NovoJuris Services. “If clients approach us for registration of an LLP, we tell them to register as a private limited company because of the complicated procedure (involved in LLPs),” said Ashfaq Baig, company secretary, A Baig & Co, a firm of practicing company secretaries. Another factor behind the low LLP registration figure is believed to be the inefficient functioning of the LLP portal. “We are finding it easy to register a private limited company compared to an LLP. The portal of the ministry of corporate affairs is more user-friendly compared to the LLP portal,” added Mr Baig. An LLP is a partnership in which some or all partners have limited liability. It is useful for small and medium enterprises in the general and services sectors like professionals (lawyers, chartered accountants) and knowledge-based enterprises. LLPs can lead to considerable savings and can avoid the cumbersome procedures involved in setting up private limited companies. LLPs, however, cannot raise funds from the public. Ms Balaji added that there will be a growth in the number of LLP registrations once the awareness about the law spreads. This refers to SEBI’s indictment of the National Securities Depository's (NSDL) role in the IPO scam of 2006 when NSDL was headed by the current SEBI chairman, CB Bhave. This was followed by a one-year effort to bury the orders of the Gopal-Leeladhar bench. Finally, under pressure from a public interest litigation filed in the Andhra Pradesh High Court, the SEBI board met and was forced to release the three orders of the Bench into the public domain; but the Board sought to kill the application by declaring that two of the orders were void or 'non est' since the Bench had gone beyond its brief in criticising the regulator itself. It also decided at the same meeting that the full SEBI board will review the NSDL issue and decide on it. Justice Verma further says, "The decision to declare these quasi judicial orders as void is meaningless in any absolute sense. Its meaning is relative, depending upon the courts' willingness to grant relief in any particular situation. Even if a decision is 'void' or a 'nullity', it remains in being unless and until some steps are taken before courts to have it declared void. Lord Radcliff said in Smith v/s East Ellse, 1956 A.C. 736 at 769." In fact, according to the learned judge, "An order, even if not made in good faith, is still an act capable of legal consequences. It bears no brand of invalidity upon its forehead. Unless the necessary proceedings are taken at law to establish the cause of invalidity and to get it quashed or otherwise upset, it will remain as effective for its ostensible purpose as the most impeccable of orders. “The necessity of recourse to the court has been pointed out repeatedly in the House of Lords and Privy Council, without distinction between latent and patent defects. Supreme Court of India has taken the same view. “The order would be presumed to be valid unless the presumption was rebutted in competent legal proceedings by a party entitled to sue. “The court will invalidate an order only if the right remedy is sought by the right person in the right proceedings and circumstances. The order may be hypothetically a nullity, but the court may refuse to quash it because of the plaintiff's lack of standing … or for some other legal reason. In any such case, the 'void' order remains effective and is, in reality, valid. (see pg. 341-344, Administrative Law, 7th Edn., by Wade and cases in footnote). On a broader note, Justice Verma starts his succinct two-page opinion by expressing concern at "executive interference in the independence and integrity of the judicial process" which, he says, is a "central requirement for upholding the rule of law". Justice Verma further says, "The rapid expansion of the power and jurisdiction of quasi judicial bodies raises new challenges in this regard. Great caution is called for on the part of the Government, the judiciary and society to ensure that the independence of quasi judicial bodies is fully protected and that executive power is not misused to interfere with their decision-making, their independence and their integrity. It is essential to ensure that quasi judicial orders should not be subject to review or interference by executive authorities that have neither the power nor the requisite expertise to review, alter or nullify quasi judicial orders. Quasi judicial orders should be subject to review only by lawfully authorised tribunals or by courts, based on well established principles of law." 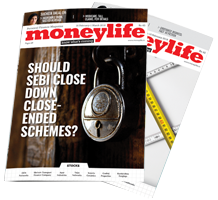 Moneylife Digital broke the news last week that SEBI was all set to hold a board meeting on 22nd December at which the NSDL had been called for a hearing. Incidentally, SEBI's actions are apparently based on a legal opinion by C Achuthan, former presiding officer of the Securities Appellate Tribunal (SAT), who is a director on the board of the National Stock Exchange (NSE)—a SEBI-regulated entity which is the promoter and major shareholder of the NSDL. The National Highways Authority of India (NHAI) has completed the bid-evaluation process for 12 projects having a total length of 1,084 km and for a value of Rs10,672 crore, across various states in the country. After acceptance of the recommendations of the BK Chaturvedi committee, NHAI has recently announced the lowest bidders for 12 highway projects, according to a release from IDFC. “We expect the implementation of the recommendations of the BK Chaturvedi Committee to spur bidding interest in highway projects going forward, as procedural ‘pain factors’ are addressed and project economics improve. As a result, we expect sustained new flow on project awards over the next 12-15 months, in turn also driving construction order flows. Hence, companies with interests in highway build-operate-transfer (projects) and/or road construction are likely to see regular stock triggers over the medium term. The likely beneficiaries of the same would be infrastructure developers and contracting companies including GMR, GVK, L&T, Reliance Infrastructure, IRB, Gammon India, Gammon Infra, IVRCL, NCC, Lanco, etc,” said the IDFC report, after evaluating the impact of the recommendations of the BK Chaturvedi Committee. NHAI had accepted the recommendations of the BK Chaturvedi Committee in November 2009. The committee was set up to study and suggest means of overcoming the impediments to the speedy implementation of the National Highway Development Programme (NHDP). The implementation of these recommendations was expected to enable NHAI to achieve its ambitious target of 12,652 km and 11,092 km of road projects in FY2010 and FY2011 respectively. The recommendations made by the committee included relaxation of conflict of interest clause, annual qualification exercise and awarding projects with single bids. 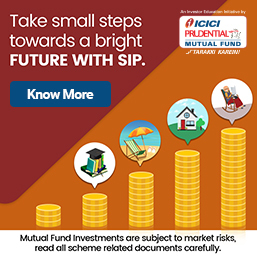 As per the modified conflict of interest clause, disqualification will not apply if the level of direct or indirect shareholding of competing bidders is not more than 25% of the paid-up capital and subscribed share capital, instead of the current level of 5%. Other modifications in the process of awarding road projects—like the norm stipulating completion of 80% land acquisition before awarding of a project, and setting up of State-level land acquisition units—were also accepted. Out of the 12 projects announced, ERA Infra Engineering has emerged as the lowest bidder in two projects in Uttarakhand. The worth of these two projects is Rs1,294 crore. IVRCL Infrastructure and Projects has emerged as the lowest bidder for two projects in Andhra Pradesh and the Madhya Pradesh/Gujarat border, carrying a total worth of more than Rs2,000 crore. Sadhbav Engineering has emerged as the lowest bidder for two road projects in Andhra Pradesh and Haryana with a total worth of more than Rs1,200 crore. Hindustan Construction Company (HCC), NCC and Infrastructure Leasing & Financial Services Limited (ILFS) in Uttar Pradesh and B Seeniah & Co in Madhya Pradesh /Gujarat border are among the other infrastructure developers who have emerged as the lowest bidders for these road projects. Under its work plan for 2009-10, NHAI has targeted the awarding of 122 road projects for a length of 11,947 km (worth Rs 1,066 crore). Out of these projects, ten projects have already been awarded and IDFC expects the process would be completed shortly for 12 other projects for which bid-evaluation has been completed. In this work plan, 30 projects have been restructured to make them more attractive to potential bidders. These projects include six projects in Kerala; four in Andhra Pradesh; three each in Rajasthan, Tamil Nadu, Orissa, and UP; two in Karnataka and one project each in Madhya Pradesh, Maharashtra, Goa, Uttarakhand, Haryana and Bihar. After the restructuring, seven of these projects have been awarded. The awarded projects include projects along the Madhya Pradesh/ Maharashtra border on national highway (NH) 7 for a length of 95 km with total project cost (TPC) of Rs1,171 crore; Kundapur-Surathkal section along NH 17 for a length of 90 km with TPC of Rs671 crore; Amritsar-Pathankot section along NH 15 for a length of 102 km with TPC of Rs705 crore; Jaipur-Tonk-Deoli section along NH 12 for a length of 149 km and with TPC of Rs792 crore; Jaipur-Reengus section along NH 11 for a length of 54 km with TPC of Rs268 crore; Kannur-Kuttipuram section (Package-I) on NH 17 for a length of 83 km with TPC of Rs1,366 crore and Kannur-Kuttipuram section (Package-II) on NH 17 for a length of 82 km with TPC of Rs1,312 crore.